Good guide here for painting your toy soldiers. In the first part of this series, I laid down the groundwork for getting back into modeling cheaply. The first part dealt with models. This part is for the other stuff, namely basic modeling tools. These are the basic every modeler should have and don’t cost much. The most basic include hobby knives, tweezers, sandpaper and glue. Hobby knives come in different handle shapes and blade types. They can be used for cutting, scoring, scraping and puncturing. The different blade shapes can be useful for certain applications, but you’ll want a supply of #11 blades on hand at all times. These are pretty cheap. There are several brands, including no-name, but X-Acto is a well known name. You can get these on EBay easily or a local or Internet site. Don’t forget to use a new blade when you start something new. A fresh blade cuts cleaner and quicker. 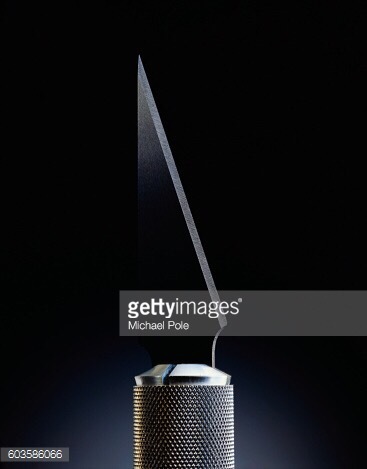 Also, it will reduce the chances of cutting yourself because you won’t be forcing a dull blade. Safety is number #1! Tweezers are important. They allow you to pick up tiny parts or decals and place them accurately. They come with different tips, some straight, some curved. Some lock and some open only when you press the handle. A basic straight tweezer is all you need to get started and they can be found cheaply almost anywhere. Sandpaper can be used to smooth out rough edges, make basic shapes, flatten areas with glue or putty bumps, sand edges of parts for a better fit and more. There are packages of small sheets you can buy in hobby stores, but you can buy regular sandpaper from hardware stores for not much, especially if you use a lot of it. There are fine, medium and rough grits of sandpaper all assigned numbers, so take note when you find a grit you like. Also, try to get “wet or dry” sandpaper. You can use this with water to avoid having all the plastic you’ve sanded off floating everywhere. Glue. 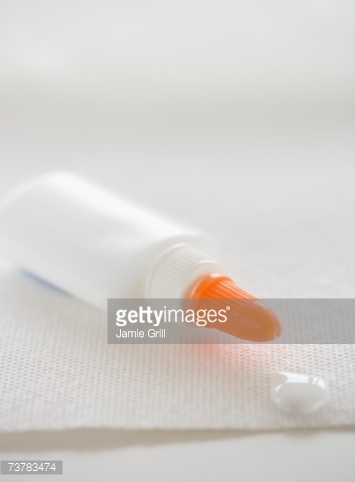 Many types of glue abound, from basic model glue to white glue, superglue, spray glue and others. Depending what you’ll be glueing, select the right type of glue. Some glues work well for many materials, but always double check. So there are a few basics that every modeler needs. After awhile, you may see or hear about different tools used for more specialized purposes. I’ll cover those in part three. Even though scale modeling is one of the most relaxing hobbies for many, there are some things you have to be aware of while working with chemicals, power tools and sharp knives. Adequate ventilation is a must to get rid of the fumes from the glue and paint you’re using. Open a window and use a fan to keep fumes away from you. Some modelers may have a system set up to extract fumes, but keeping windows open is a basic good suggestion. Also, when using an airbrush or spray paint, you might want to do it outside. Staying safe while using those razor sharp hobby knives is important too. Knives should always be sharp to lessen the force needed to cut something. Always hold the part firmly, maybe with a clamp if necessary. Cut away from you. Of course, if you can use a pair of side snippers to cut the part, it will be safer. Just watch out for flying parts. Wear gloves while working with paint and glue and keep fingerprints off the model. Wash your hands frequently to remove dust, paint, glue, etc. Do not smoke or eat while modeling. Protect your eyes while modeling, especially if you are using power tools, such as a rotary tool. Wear goggles to keep debris away from your eyes. Wear magnifying lenses even if your eyesight is good. This will reduce the strain on your eyes while focusing on small details. Take a break once in a while to walk around or stretch especially if you’re having a difficult time doing something. This is just a quick overview of things to be aware of. Here’s a link to a website that goes into more detail.